Our team is trained, experienced and certified to provide services for mold testers in Baltimore, Maryland and the surrounding area. A quick turnaround is guaranteed for all services, so your matter is resolved with the utmost satisfaction and convenience. Book now to schedule a home inspector in Baltimore. We possess certifications from the International Association of Certified Indoor Air Consultants and are qualified in air quality, lead inspection, water testing and more. At Baltimore Mold Testing, our assessments are thorough and professional in every area of the home to uncover any problem, so you know of any issue upfront. Our services are fast and flexible. Our mold testing clients all enjoy the benefits of included warranties on various features of your home. Ultimately, peace of mind is what you’re buying, especially in the event of unexpected issues arising. We have a complete line of services to choose from to best serve you, our client. "Sol is honest, and great to work with. He is timely and professional. Best of all, he has competitive pricing. I would recommend him any day." Sol is great to work with. On a recent renovation project, we opened up a few walls and found some mold, our client wanted a professional opinion and that's what we got from Sol. Baltimore mold testing was ontime and professional. They had the lab report for the mold and air quality samples the next day as promised!! Great experience! Sol was very knowledgeable. He answered all of our questions and followed up with a detailed report and recommendations quickly. Sol was AWESOME, when all the other mold inspection places I contacted prices was so high. I found Sol who came and got the job done and the price was affordable I had my results fast. Thanks Sol! Mold can be found anywhere dampness can be found, that includes inside and outside the home you live in. If not detected early on, mold can be costly to remove and adversely affect your health. Luckily our licensed techs can detect any mold issues at your home or business. Exposure to any type of mold can adversely affect health immediately and or long-term. When mold is disturbed, it releases spores into the air which in turn are breathed into the lungs. Some people may only experience a mild allergic reaction, such as sneezing or watery eyes, but for others mold exposure can result in damaging and permanent lung problems. Mold can and does effect health and should be dealt with by a certified professional only. When the certified professionals at Property Inspection Pros receive a call to conduct a mold test on a home or other structure, the first thing they will do is research the structure’s history to discover if there has ever been a flooding problem on the property. All information regarding past water leaks, flooding or other types of moisture issues on the property will provide insight as to what type of mold problems there may be on the property. Following the research will be a visual inspection of the outside and inside of the property. The inspector will be looking for signs or conditions that may encourage mold growth, such as damp leaf piles, broken down-spouts, leaking roofs or rotting windowsills. 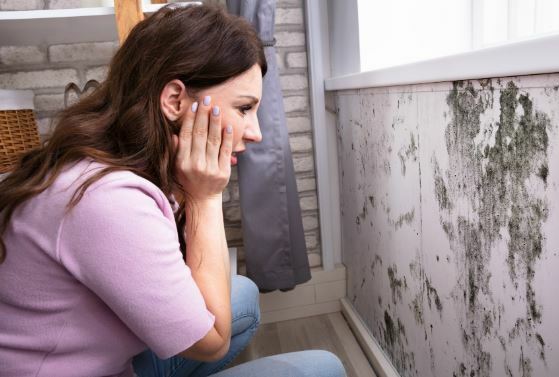 We will Investigate any signs of past or present water intrusion, which can promote mold growth, and we will take samples of any suspected mold for laboratory analysis. A minimum of 2 samples Air samples will be taking one inside and one outside of the home. All samples taken will be sent off to the lab to be tested. Turnaround time for lab results is Next business day! Contact Baltimore Mold Testing to schedule a mold testing in Baltimore MD. We travel to any location in the Greater Baltimore metro area of Maryland. Call us today at (443) 934-4574.